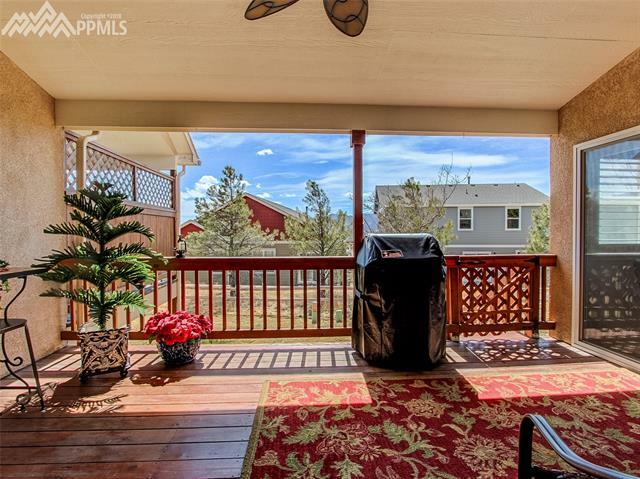 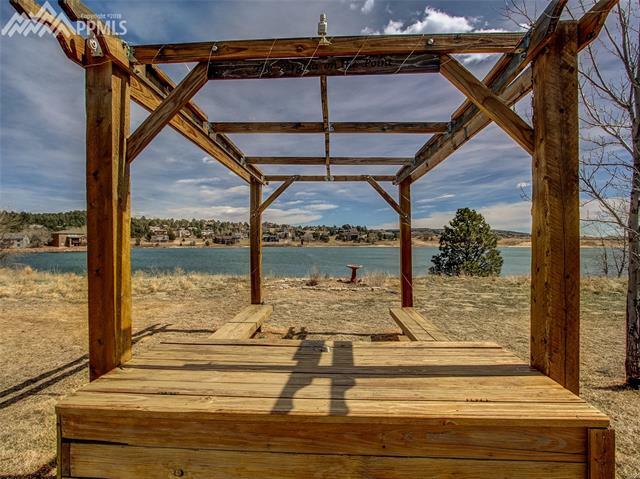 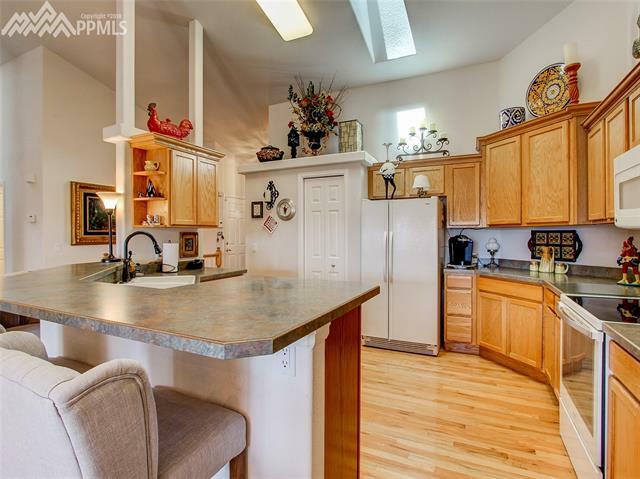 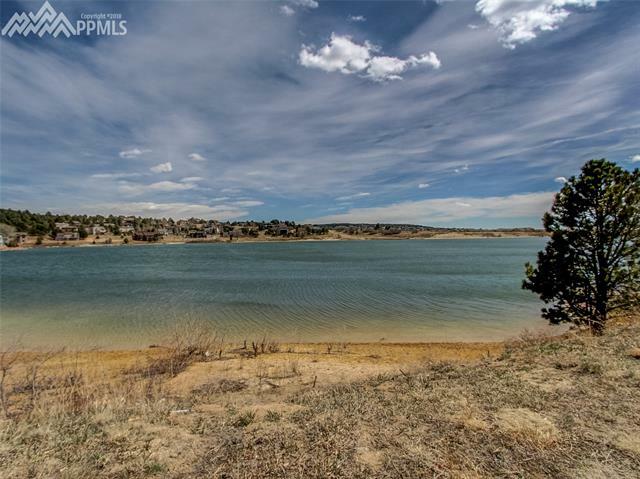 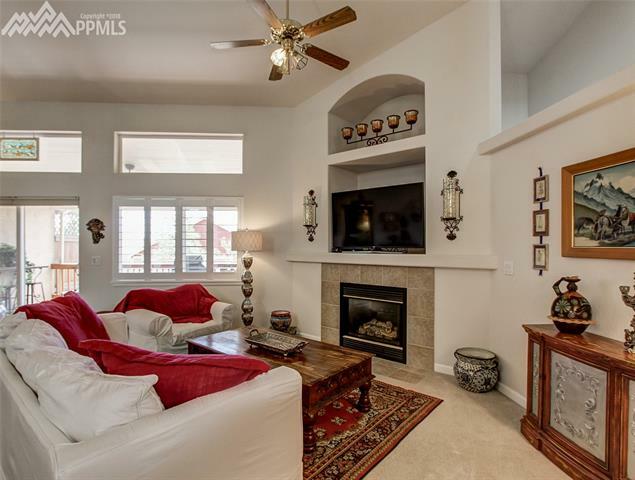 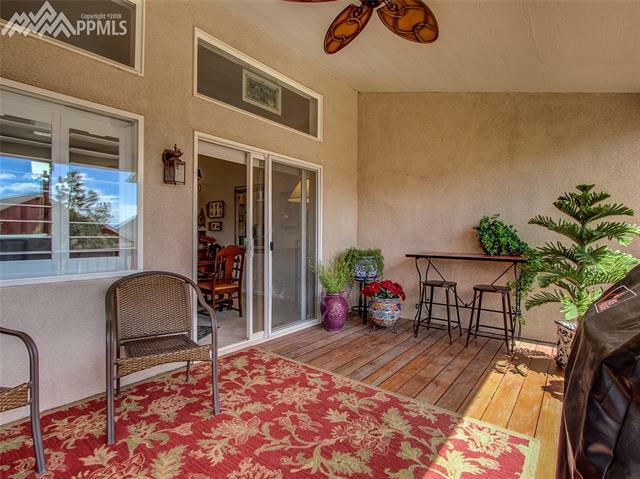 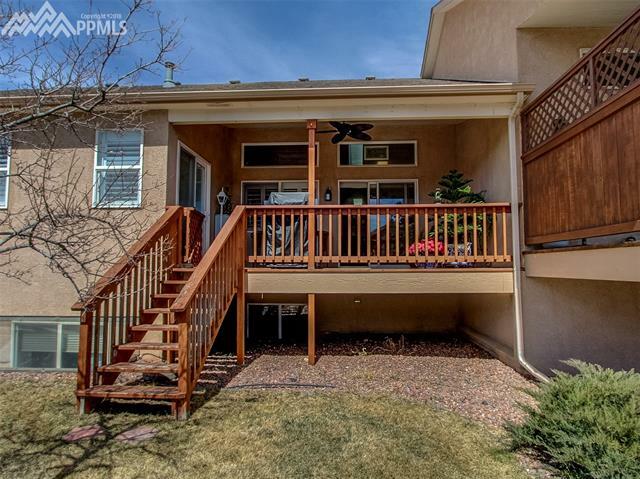 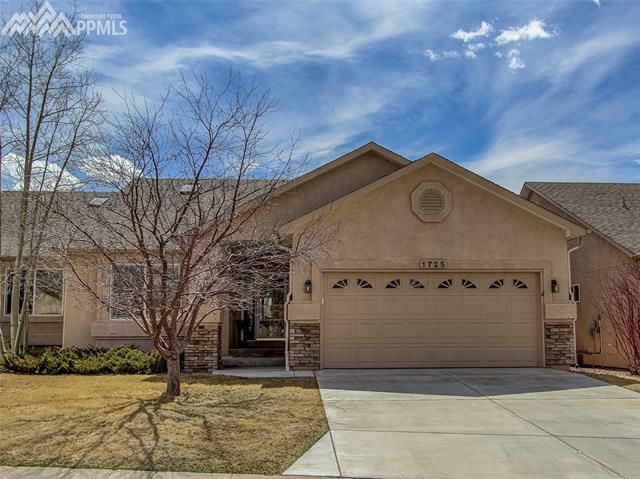 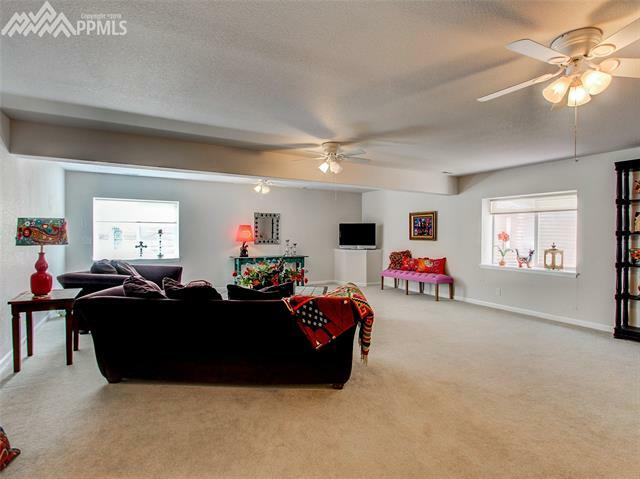 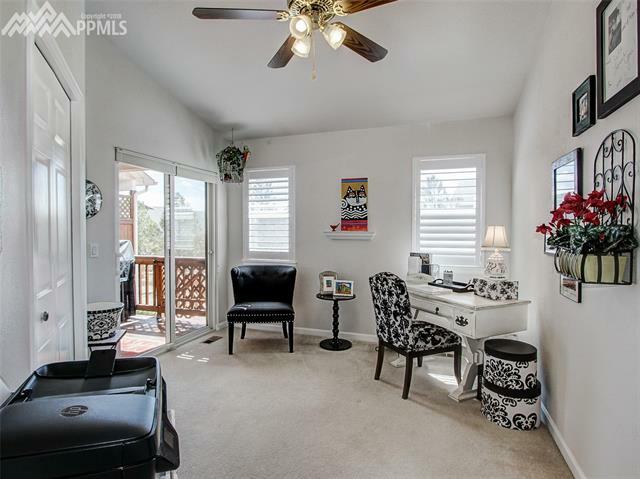 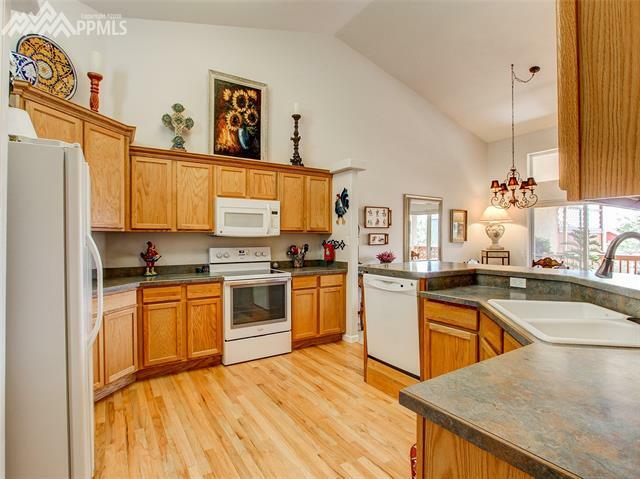 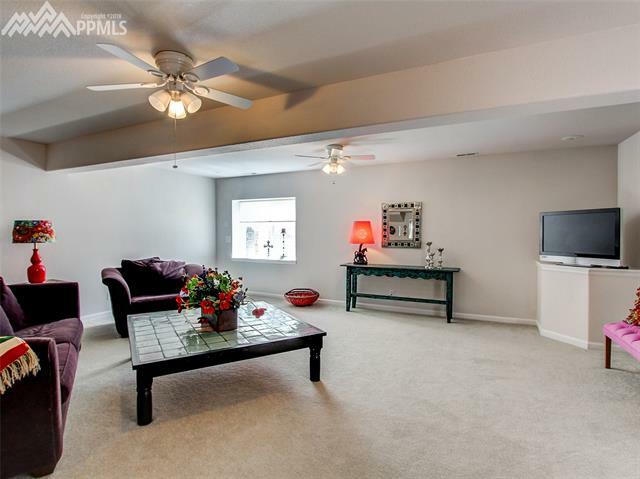 Spacious patio home with mountain views just walking distance from Lake Woodmoor. 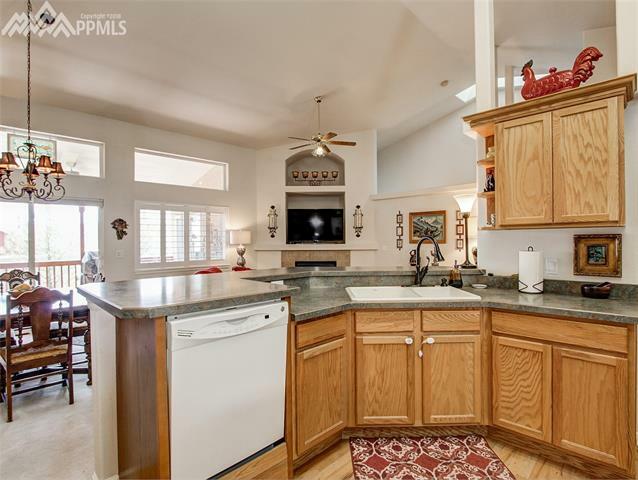 Kitchen has wood floors, pantry, and breakfast bar that opens into great room featuring vaulted ceilings and gas fireplace. 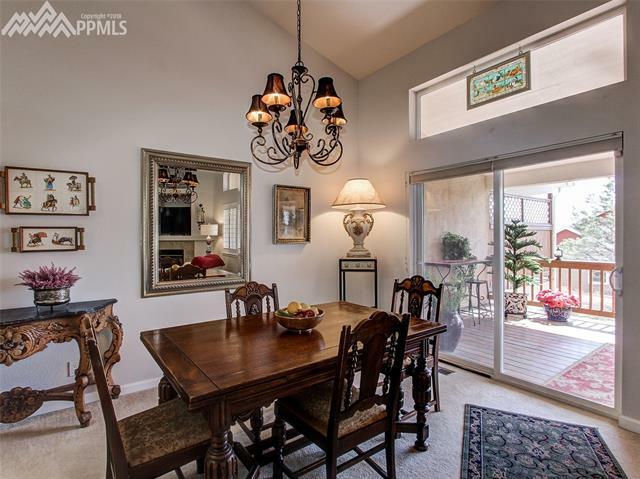 Dining room walk outs to the large covered deck perfect for entertaining. 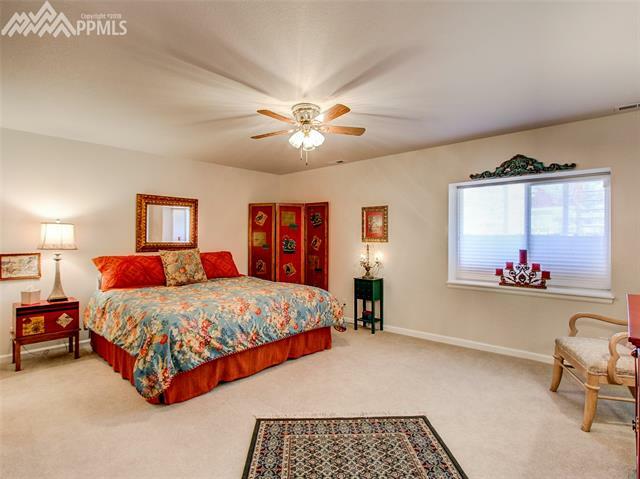 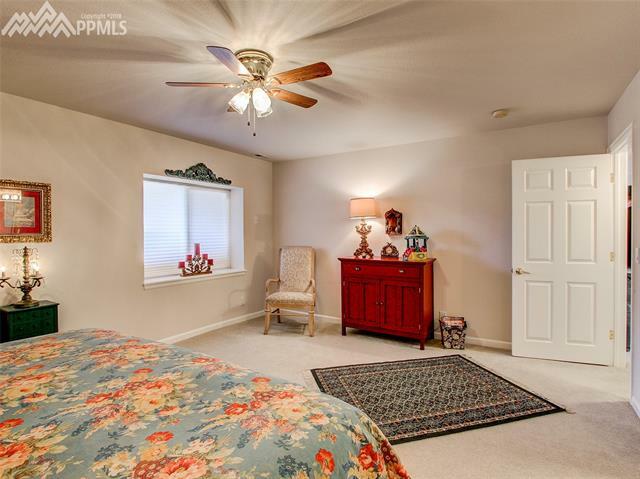 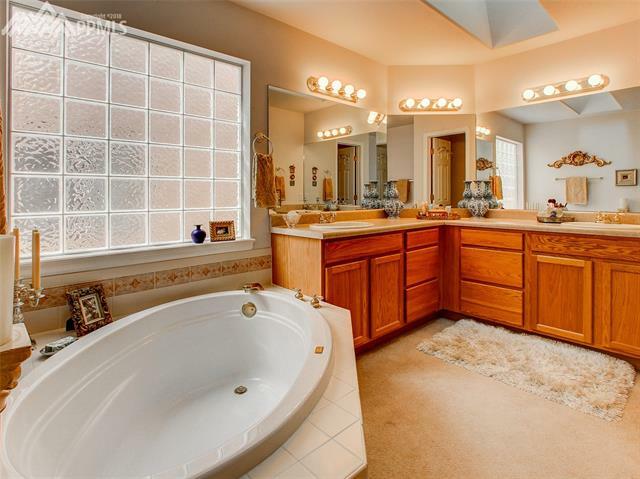 Main level master suite with sitting area, walk-in closet and 5 piece bath. 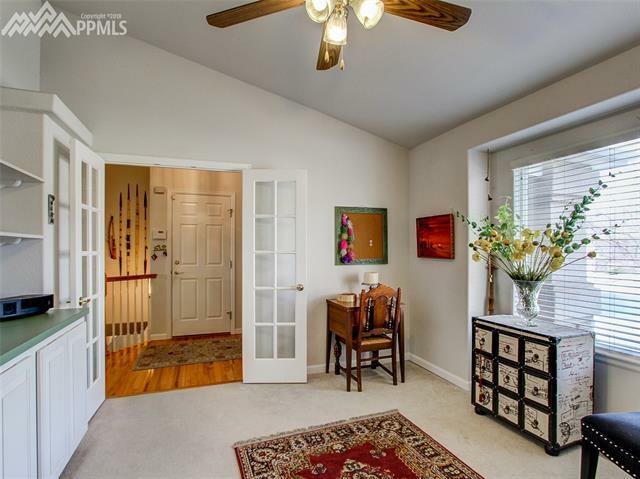 Walk through French doors to office with built in cabinets and vaulted ceiling. 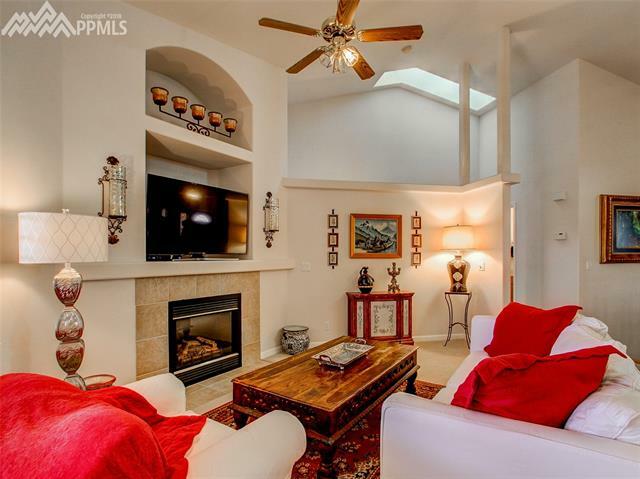 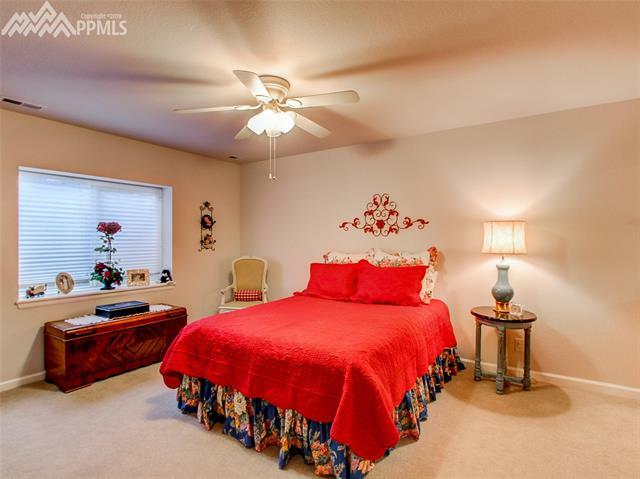 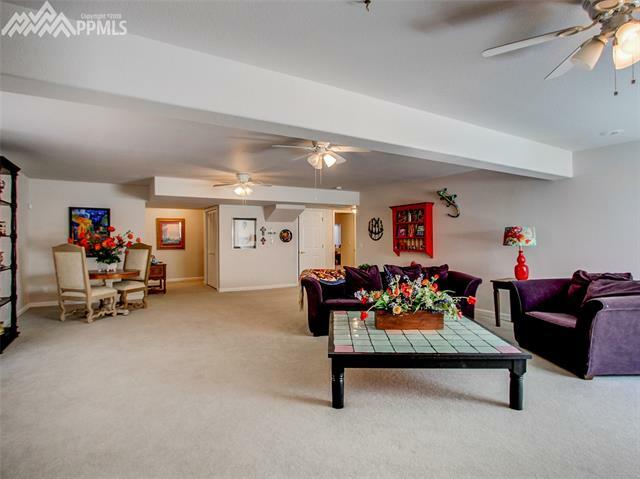 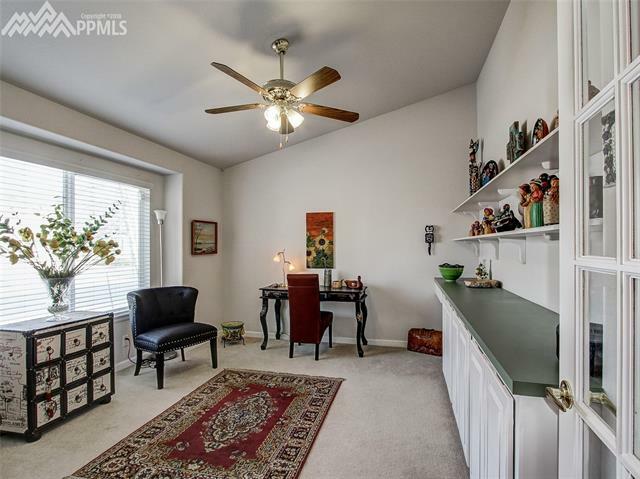 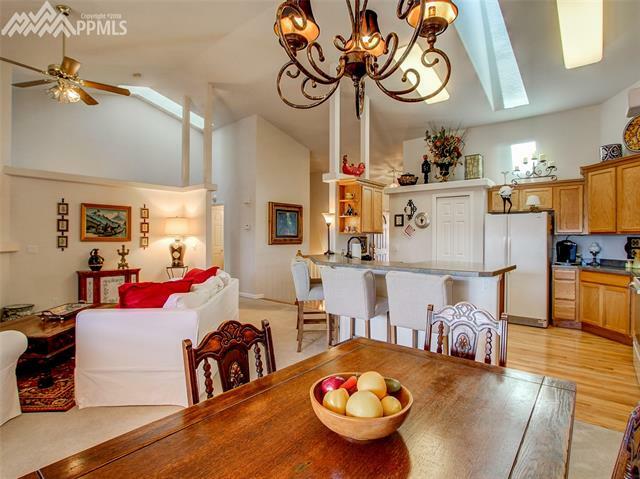 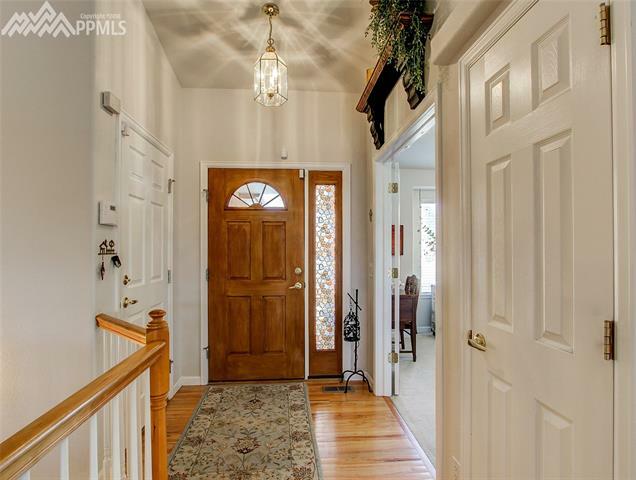 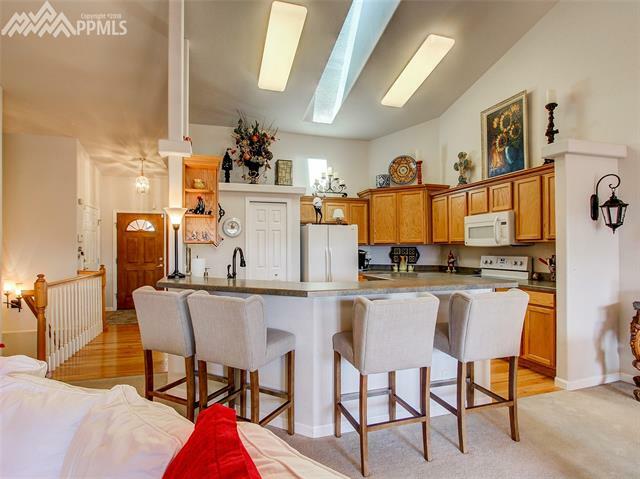 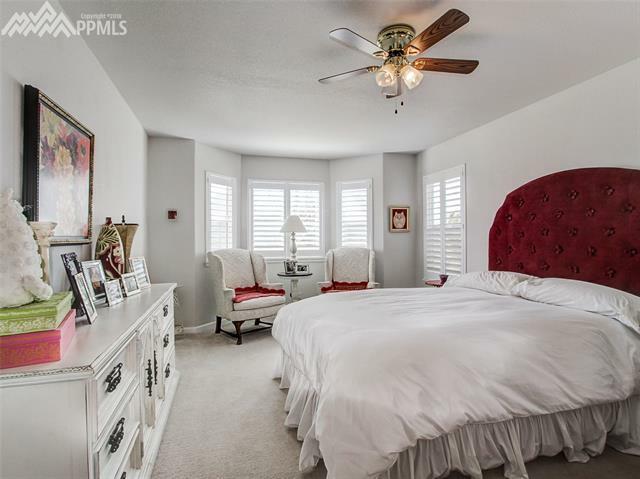 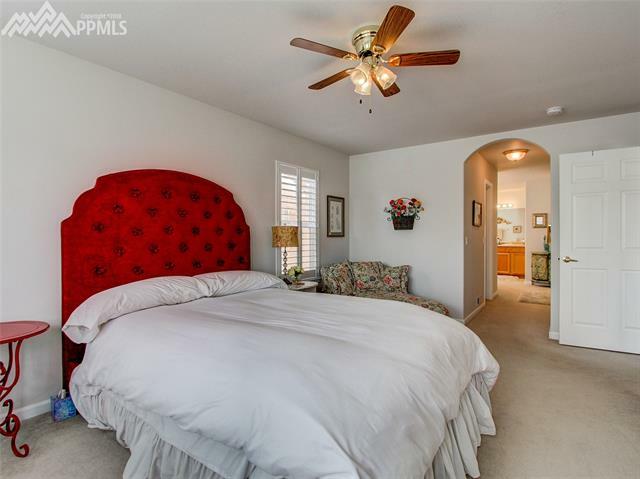 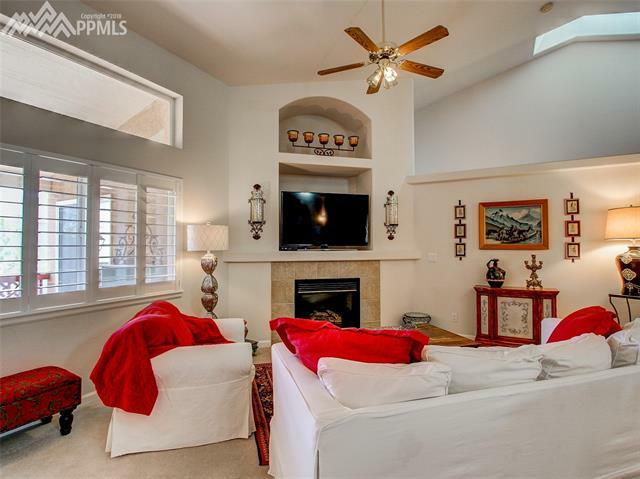 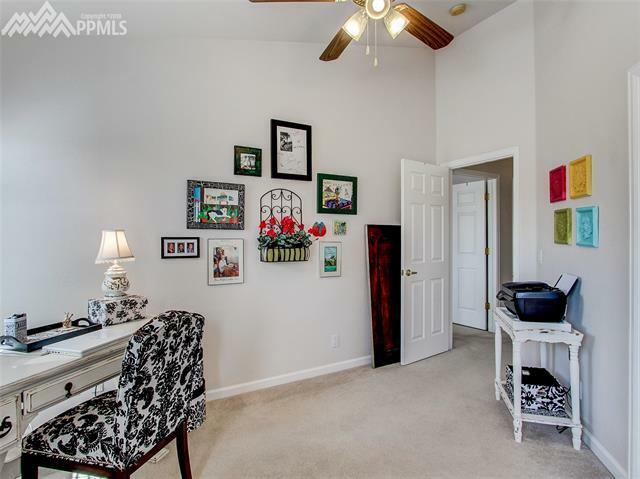 Main level is accented with beautiful plantation shutters in LR, master and 2nd BR.